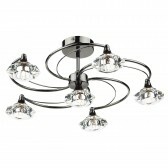 Additional to the Lucera collection is this 5 light hanging pendant showing a beautiful decorative design. 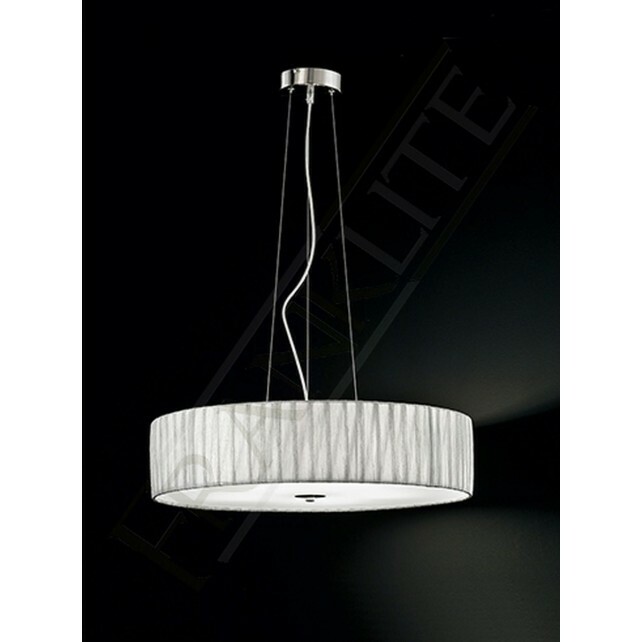 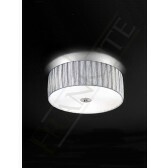 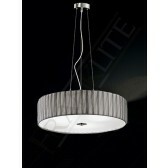 With lovely satin nickel framework, the pendant is suspended from wires attached to the ceiling plate. 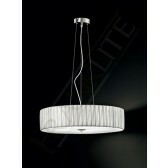 The pendant shows stunning silver translucent textured fabric, complete with a glass diffuser at the base. 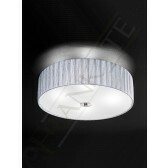 Diameter (600mm). 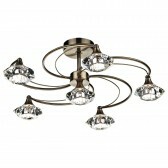 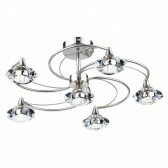 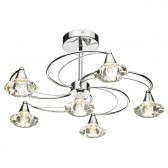 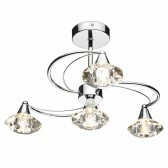 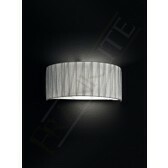 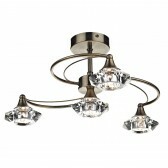 This fitting would look great in large living spaces above the dining table. 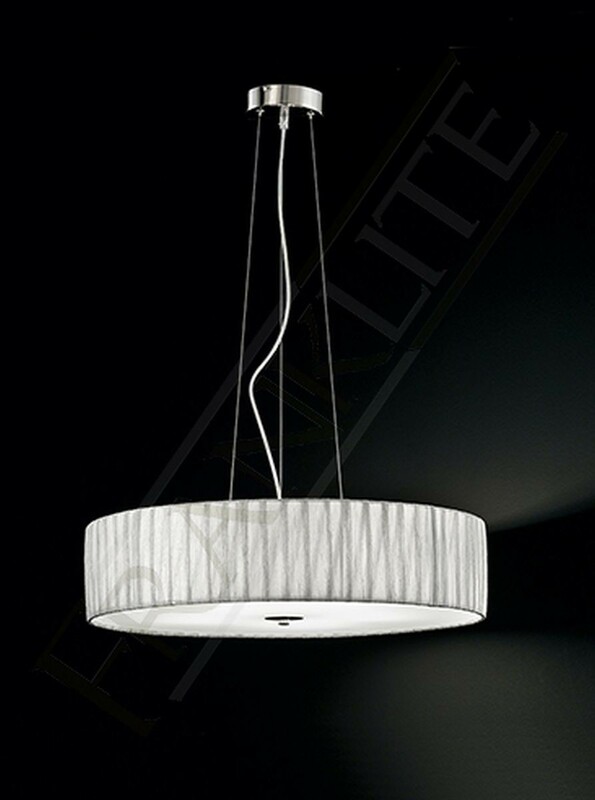 Height is adjustable, please see the specifications for the measurements. 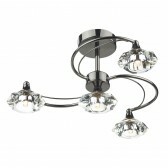 A stylish modern fitting that will certainly complement your decor. 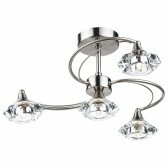 Please see related items for other products from this range.